We are a Service Club with the aim of helping the disadvantaged in our community. This is largely done by raising funds throughout the year of which 100% of profits raised by events, are channelled directly through local charities, local needy causes, Social Services, direct application and contributions to national disasters. The success of our ability to work closely together is entirely due to the collaboration of our members who put the fun into fundraising and enjoy a diversity of social events. We would be very glad to welcome anyone who is interested - both male and female of all ages, as we have been a mixed club for over 25 years. 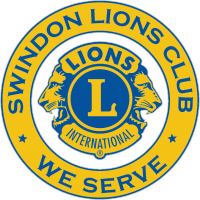 Club nights are held at the Village Hotel, Shaw Ridge, Swindon at 8pm on the first and third Monday in the month.